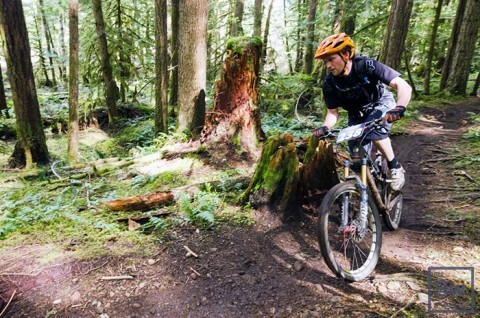 Some of Vancouver Island’s best mountain bikers will descend on the Comox Valley this month as Cumberland hosts two Island Cup races that also promise to attract a strong contingent of local riders. Elite cross-country riders, as well as amateurs, kids and weekend warriors, will test their mettle on Sunday, April 12 at the Cumberland XC, hosted by the United Riders of Cumberland (UROC). The third race of the Island Cup XC series and Cumberland’s first race of the season, the Cumberland XC will feature a great new course for racers, as well as a fun supervised group ride for children. The Cumberland XC is open to riders of all ages and abilities and starts at noon on April 12, with check-in by 10 a.m. at Cumberland Village Park. A week later, on April 19, downhillers will get the chance to showcase their skills at the Dodge City DH, the only downhill race on the Island this year. Like the XC event, the Dodge City DH is hosted by UROC and is open to riders of all ages and abilities, although full-face helmets are mandatory for all racers. This year’s race features an updated course and a single crown fork category. The race starts at 1 p.m. on April 19, with shuttles and sign-in beginning at 9 a.m. at Cumberland’s Chinese Heritage Park. Participants of both events will be treated to a well-deserved free barbecue, and all riders will have a chance to win several sponsor-donated prizes. Registration is $30 for the XC race and $50 for the DH. Riders under 12 can participate in either event for free.